Greencoat UK Wind PLC (LON:UKW) today announced that it has entered into agreements to acquire 49.9% stakes in the Stronelairg and Dunmaglass wind farms from SSE, in partnership with a major UK pension fund whose investment is managed by Greencoat Capital. UKW will acquire a net 35.5% stake in the wind farms for a consideration of £452m (including cash and working capital), while the managed account will acquire a net 14.4% for £183m. SSE will continue to hold the remaining 50.1%. Stronelairg wind farm is located near Fort Augustus, Scotland, and has an installed generating capacity of 228MW. The 66 turbine wind farm was commissioned in December 2018 and has a load factor of 43%. Dunmaglass is located 15 miles south of Inverness and has an installed generating capacity of 94MW. The 33 turbine wind farm was commissioned in December 2017 and has a load factor of 44%. SSE will continue to operate both wind farms with Vestas and GE providing turbine operation and maintenance for Stronelairg and Dunmaglass respectively. The Company also announces that it is seeking to raise up to £131 million through a placing (the “Placing”) of new ordinary shares in the capital of the Company (the “Placing Shares”) by way of a non-pre-emptive issuance to institutional investors at 127p per share, pursuant to the terms and conditions set out in the Appendix to this announcement. Proceeds from the Placing will be used to repay or reduce future draw downs under the Company’s revolving credit facility (increased to £525m). Following the completion of the acquisitions, the target date of which is 29 March 2019, and assuming that the maximum amount has been raised under the Placing, the Company expects to have £794m of outstanding debt (of which £400m is long term debt), which would be equal to 34% of Gross Asset Value (“GAV”). Jefferies International Limited and RBC Capital Markets acted as financial advisers to the Company and the Greencoat Capital managed account. – The issue price of 127p represents a discount of 5.1% to the closing share price on 31 January 2019 and a premium of 4.6% to the last reported NAV (ex-dividend) of 121.4p (as at 18 January 2019). – The Placing is expected to be accretive to the net asset value per share of the Company, after costs. § RBC Capital Markets is acting as bookrunner to the Company and Kepler Partners LLP is acting as placing agent in relation to the Placing. § The Placing is not underwritten, and is conditional on, inter alia, shareholder approval at a general meeting of shareholders of the Company to be held on 25 February 2019. § The Placing will be made on a non-pre-emptive basis to institutional investors and launched immediately following this announcement. § The number of the Placing Shares will be determined at the close of the bookbuild for the Placing, expected at 1.00 p.m. on Thursday, 14 February 2019, but may close earlier or later at the absolute discretion of the Company and Bookrunner. § The Placing Shares will not qualify for the 2018 Q4 dividend. § The Placing Shares will be issued fully paid and will rank pari passu with the Existing Shares. § The Appendix to this announcement (which forms part of the announcement) sets out the terms and conditions of the Placing. § The Company is today publishing a circular to Shareholders and notice of general meeting in connection with the proposed Placing. § The notice of general meeting is being dispatched to all shareholders. 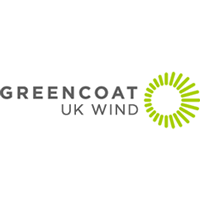 An electronic copy of the notice of general meeting will also be available on the Company’s website http://www.greencoat-ukwind.com. § A copy of the Notice and Form of Proxy can be inspected at the National Storage Mechanism website at http://www.morningstar.co.uk/uk/NSM. Application will be made to the Financial Conduct Authority for admission of the Placing Shares to the premium segment of the Official List and to London Stock Exchange plc for admission to trading of the Placing Shares on its main market for listed securities (the “Main Market”), (together, “Admission”). It is expected that Admission will become effective, and that dealings in the Placing Shares on the Main Market will commence, on or around Wednesday, 27 February 2019. Click UKW for the full archive.